Last Tuesday, we traveled to Lapin Loyo; after very challenging roads we arrived to be greeted by over 50 WGEF clients who live in the village and work/study together at our training centre. While discussing the literacy program, I asked how it impacted their lives and made them feel; here is the one quote which will make your day and is a great reminder of why we do this work. 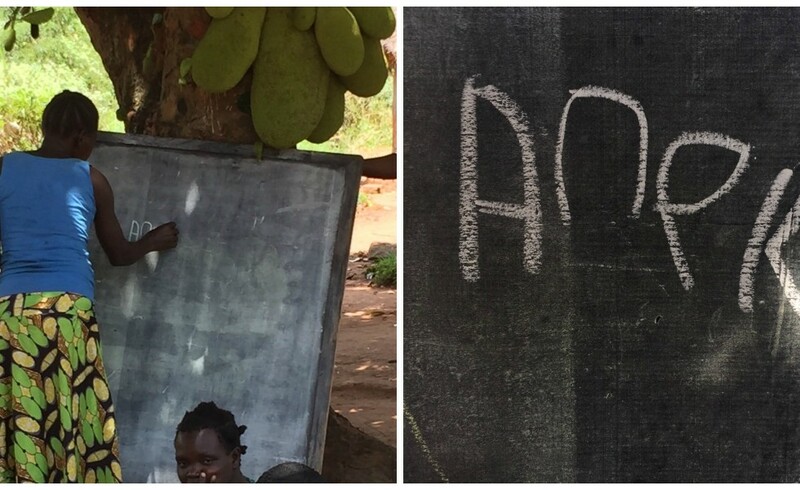 “Before I was blind, now I can see,” Anek said she now could write her own name and she was proud. I asked her to share, this is what she showed me above. This was a powerful and moving moment, which will stay with me always…I hope you are inspired.